We Raised $716 in support of OVC Pet Trust! We would like to thank everyone that shared in the joy of giving! 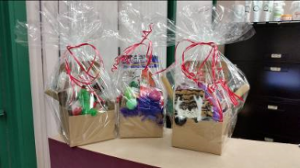 We raised over $700 through the sale of our Cat and Dog gift baskets. The proceeds from the gift basket were matched by the clinic and donated to OVC Pet Trust. 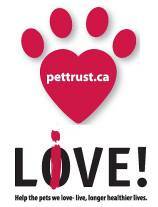 OVC Pet Trust honours the relationship between pets, their people and veterinary care givers. They do this by raising funds and supporting learning, healthcare and research at the Ontario Veterinary College.